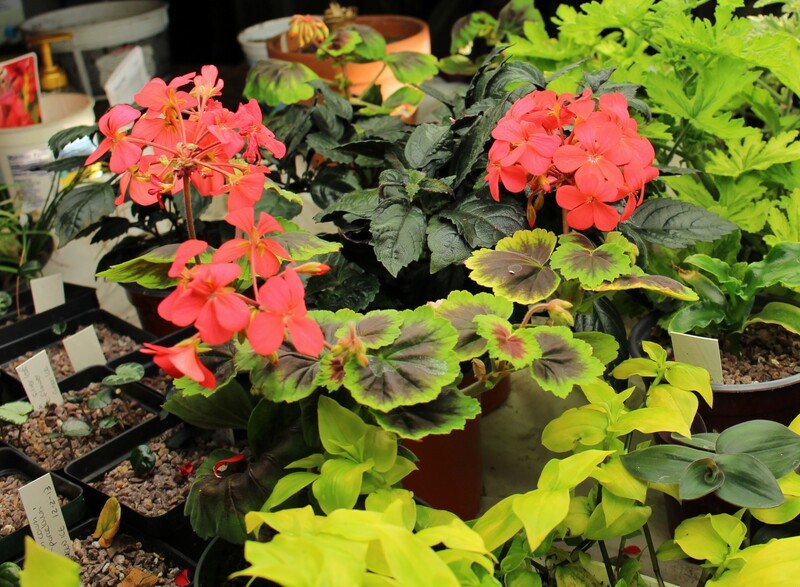 This entry was posted in cyclamen, foliage, fragrant plants, growing under lights, late winter, snowdrops, spring bulbs, Uncategorized and tagged amaryllis, bulbs from seed, cyclamen, geranium, growing from seeds, hippeastrum, spring bulbs. 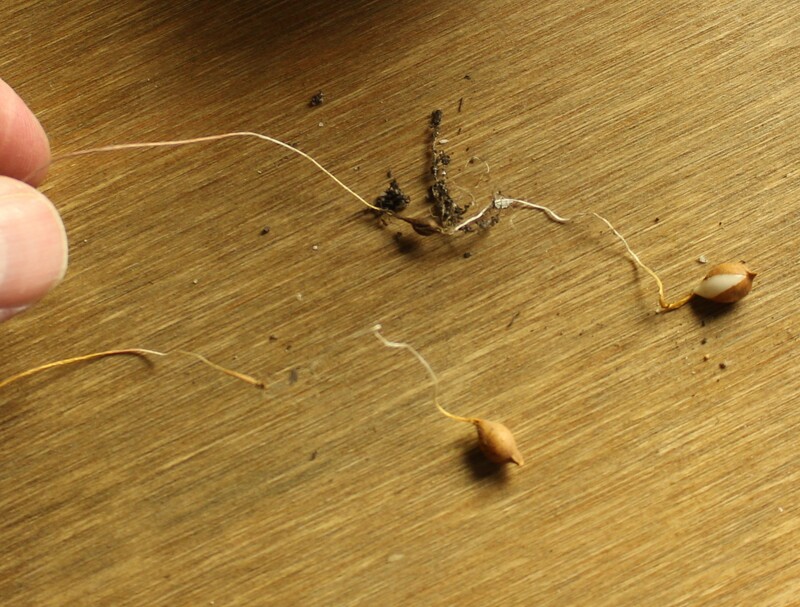 I have been sowing seeds, too–several kinds of flowers. Do you keep the amaryllis in their pots when they summer outdoors? Or do you plant them in the ground? Now that I just posted my comment, I realize I have more to say. I think the migration to the bottom of the pot is pretty cool. I rarely worry about planting depth with bulbs anymore because I figure they’ll eventually wind up where they want to be. 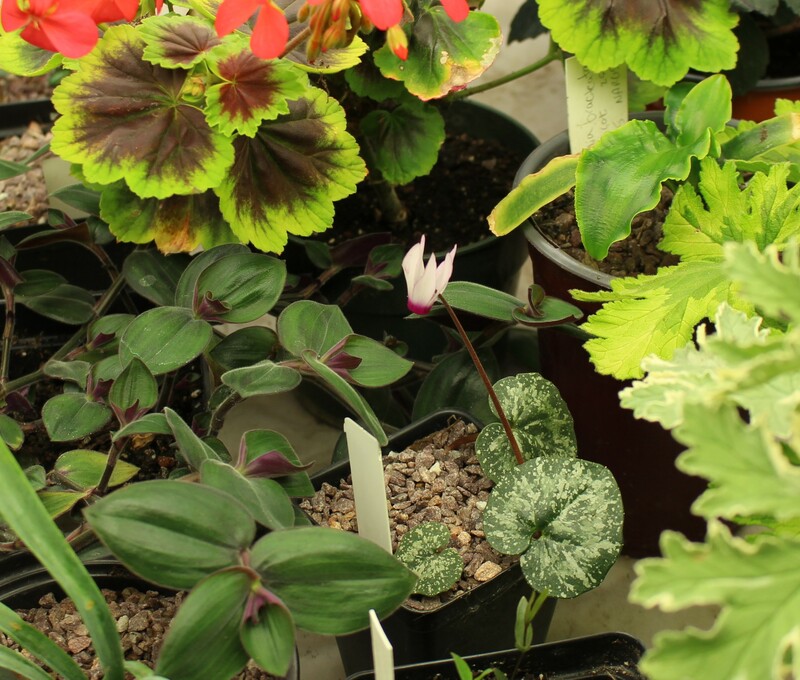 The cyclamen is cool and congrats on the snowdrop offset. I hope the kitchen remodel is completed soon. That is the pits. I leave the amaryllis in their pots, but I’m trying to be a little better about repotting. They don’t seem to mind a tight pot, but they do seem to bulk up more with a little room. 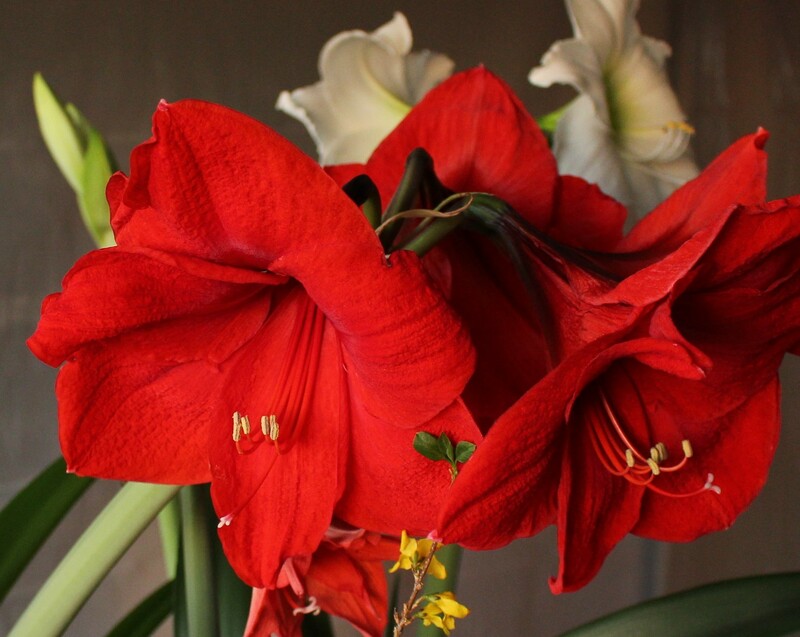 You are one of the only people that I know who are successful in getting Hippeastrum to grow a second year, let alone over many years – congratulations! Did I read correctly some have FIVE stems! Unbelievable. 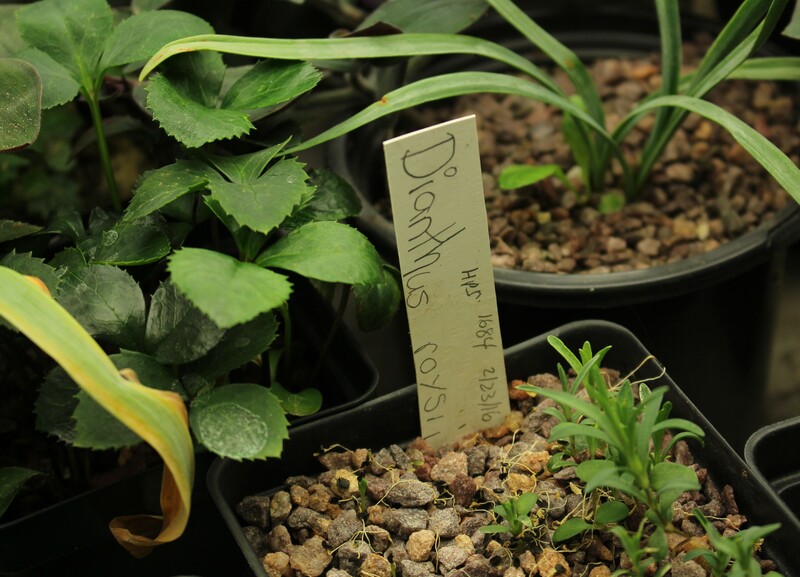 Interesting about the bulb seedlings. I’m going to collect as much seed as I can from the Anemones this year so it will be interesting to see if they do the same thing. 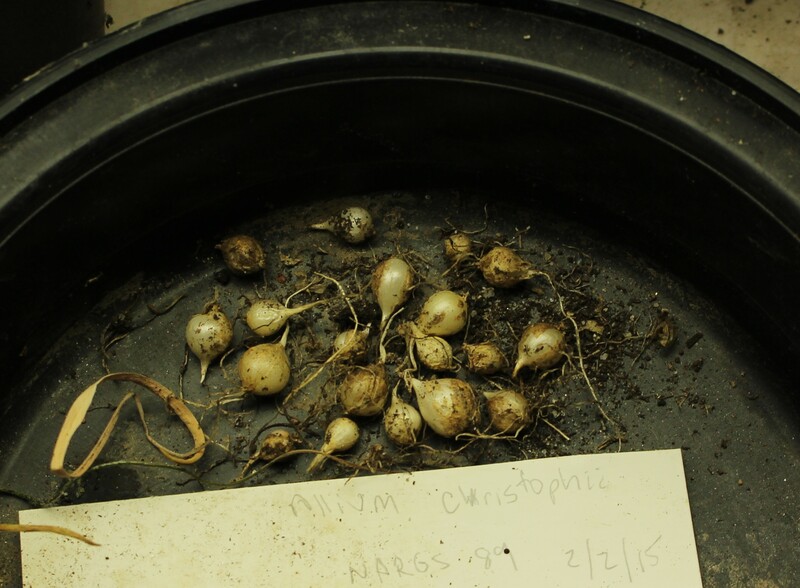 I went back and looked at the amaryllis bulbs. 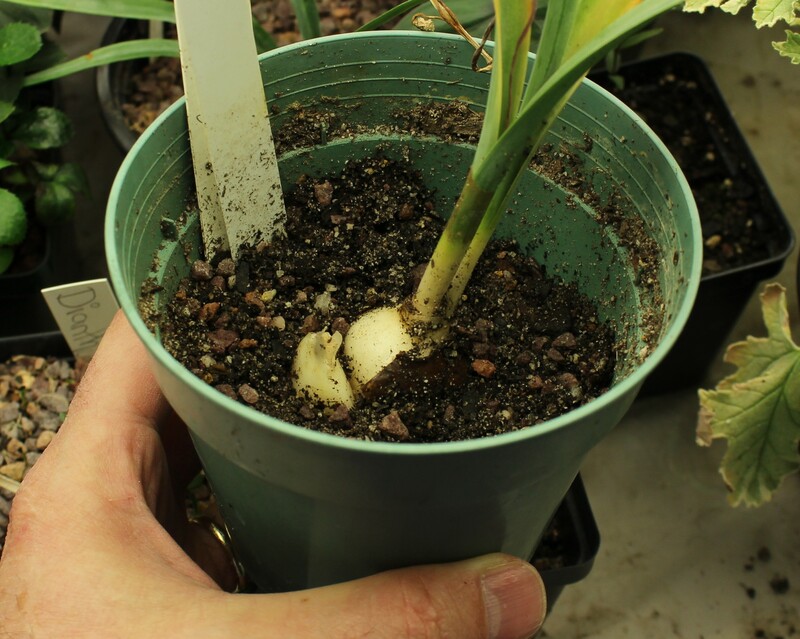 The red has two bulbs with a total of four stalks, the white has two bulbs with a total of three stalks, so five stems was a bit optimistic, and none of the individual bulbs had more than two stems. I would be sick with envy if you are able to spread anemone seeds about and have them naturalize but I think the species is native to your area so I may have to prepare myself! 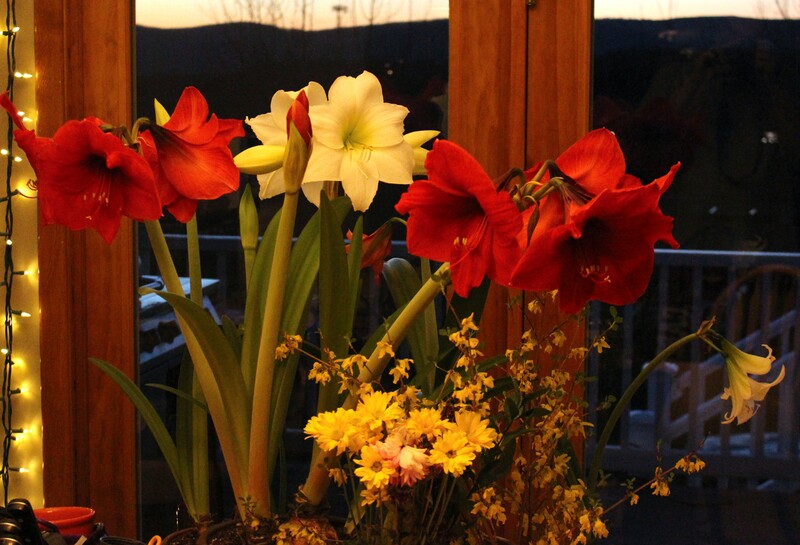 Have you ever tried amaryllis (Hippeastrum) planted outdoors? They are hardier than many would believe, and I think they could handle a bit of drought. When I lived in Texas I would see large clumps of them up near house foundations and wow! What a sight when they were in full bloom. We would see snow there in a bad winter but the ground didn’t freeze too deeply in any year. I think if they were planted up to their necks they did very well. I’ll try it, I do have a native Amaryllis not hippeastrum which flowered last year. 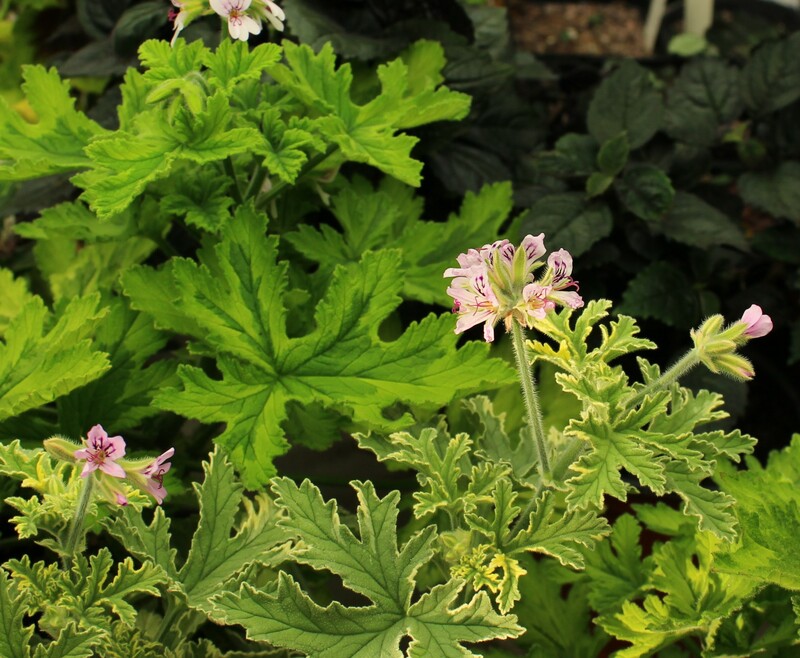 You certainly have lots of interesting plants to keep you happy whilst your everlasting winter keeps you indoors. I have never managed to get Hippeastrums to bloom again so I am very impressed. I will try your method. I too have the lovely little C. rhodium, it is an absolute treasure. I first saw it blooming whilst walking in the Peloponnese. I wonder if our hotter summers help in bringing the amaryllis bulbs along. They seem to enjoy the heat, and I don’t think the lack of a second blooming on your bulbs would be due to any shortage of appropriate care from the gardener’s end. How fantastic to have that memory to go along with your little cyclamen. Plants are so much nicer with a story attached and mine also carries a nice memory of a fun garden visit! Your hippeastrum are amazing, this is the first year that I have tried to get mine to flower again, so far I have leaves, but I’m hoping I’ll get flowers next autumn/winter. I think I read somewhere that the number of leaves the amaryllis bulb grows during the summer is a good indication of the number of flowers it will put out later. Good luck with yours! I’m so sorry that winter is making a repeat performance in April! Fortunately, you have lots of gorgeous things growing in your winter garden to help you keep your sanity. (Was there any of that left?) Anyway, hope the damage to your garden isn’t too awful! If it is any consolation, we had almost a foot of snow last Wednesday! Hopefully it will melt fast when we get some warmth. Your lower temperatures and heavier snowfalls are a good reminder of how we are still lucky to have an early warm up and lucky to have had an easy winter. I did not miss last year’s weekly snowshoveling at all! Wonderful Amaryllis! Even if the colours are not seasonal, they are very impressive and even more so when you say how old they are. I must try harder with mine this year! Hope the weather warms up again soon, and that the kitchen is back in use soon too. Good luck with your amaryllis, you have some beauties so even if they don’t make it I hope you can find more next year! Ebery time I looked out the window today it was grayish with blowing snow. Did not last on the ground but frustrating. Still having lots of overnight lows in the 20s. The frits I ordered from Odyssey Bulbs are coming up and I’d sure hate to lose the flowers in their first appearance. Weather is making me crazy! Wow, that’s an impressive indoor garden you have going on there! I had to laugh at your smuggling confession. My mother-in-law tells me all sorts of tales about her and her sister smuggling cuttings in their purses when they used to go to gardens. One would never suspect such law-breaking out of innocent-looking gardeners! I love the Amaryllis. They are pretty reliable to grow the following year. I think you need a HUGE greenhouse. You enjoy your indoor gardening more than most. I always wanted my own greenhouse until I had access and use to a few through my work. It takes a lot of work to maintain the structure and the numerous plants. Stay in denial, definitely! What good is wailing and gnashing of teeth? 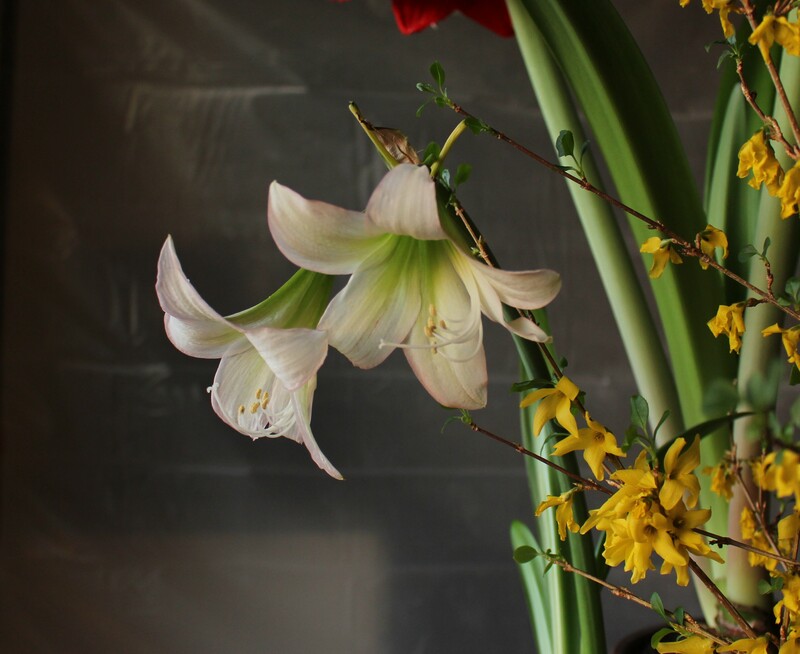 Incidentally, I recently saw a really nice Amaryllis called ‘Lemon Star’ on another blog. I am jealous of your success with the amaryllises. My amaryllises do rebloom fairly reliably, but never has any one of them sent up more than one stalk, and generally only two flowers per stalk. I set them outside in the summer and water and fertilize them, but the bulbs don’t seem to get bigger. I have red ones blooming now, too, and they seem out of place for April. There was a white trumpet-style one with a thin red edging (Picotee) that bloomed the week before Easter and was easily mistaken for an Easter lily. Of course it was completely withered by Easter Sunday. The weather is just stupid. That is the only word I can possibly use. Hi Seth, short answer -no. On an amaryllis you’ll see the flower wilt, but the fatter green end of the flower will become a seed pod, one per flower and the stalk remains upright as the pods ripen. If not pollinated, the whole stalk will slowly yellow and then eventually fall over.